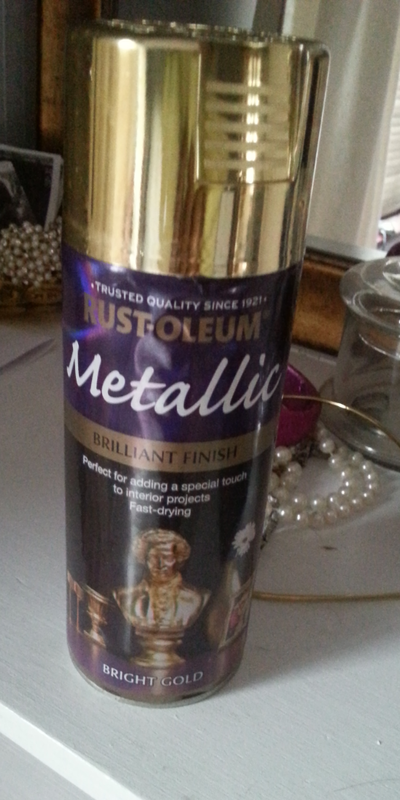 This is my go-to, absolute favourite type of gold spray paint, and I've used it on an embarrassing amount of stuff in my house! In my opinion gold is a neutral (don't disagree, I will fight you on this! ), and I often pick up accessories etc in charity shops that I paint to freshen them up and make them match my other decor, and this is by far the best one. It's really bright and shiny, and a nice deep antique-y type of gold that's really beautiful. 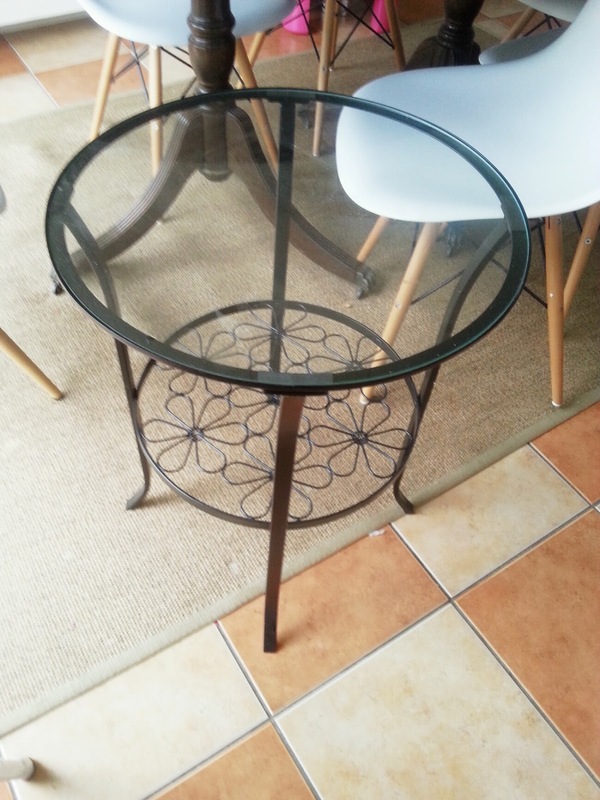 So when I needed a side table for my sitting room (we don't have room for a coffee table in front of the couch so we use side and occasional tables instead) and picked up the Klingsbo metal and glass one from Ikea for €30, it didn't take me long to decide to give it the spray paint treatment. The original black wasn't offensive or anything, but it was too harsh with my colour scheme of gray/white/pink, and I had also seen many beautiful pics of metal work Ikea pieces that had been spray painted gold on pinterest and absolutely loved how glam they were, so I was itching to try it! What about you? Have you ever "hacked" something from Ikea? Used spray paint to make something fit a room better? 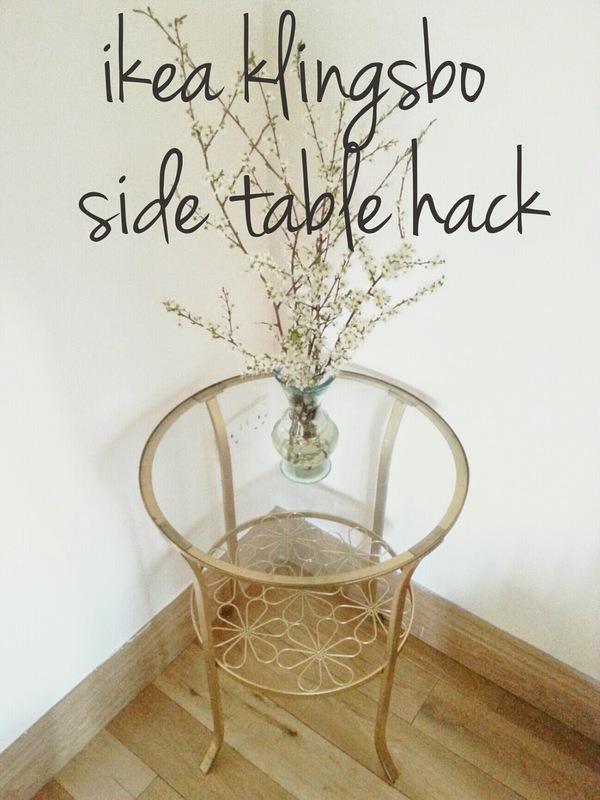 I kinda 'hacked' an Ikea stool (it's now a table) which you can see over at my blog. 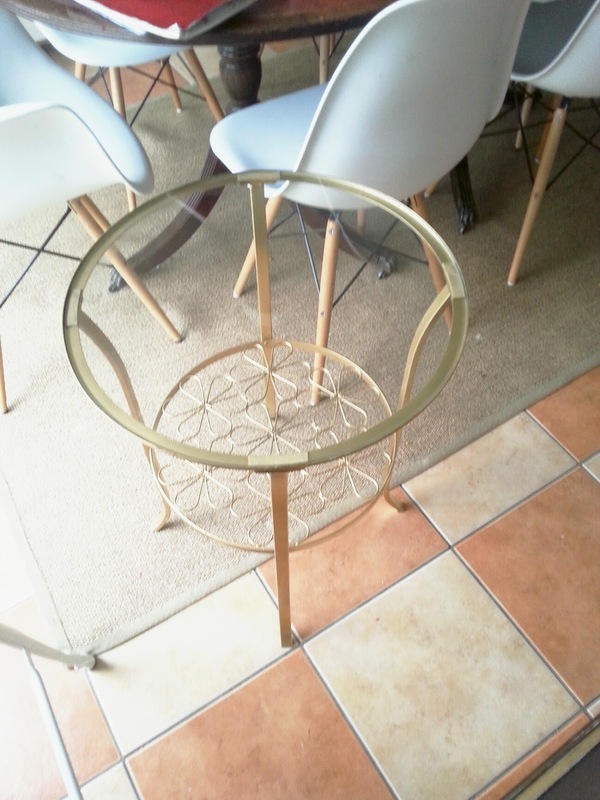 Love how your table turned out, it looks so much nicer sprayed gold. Ikea should take note! It's funny, when we moved into our first apartment, I sprayed 95% of the contents gold! I loved how it gave things a fresh new look. 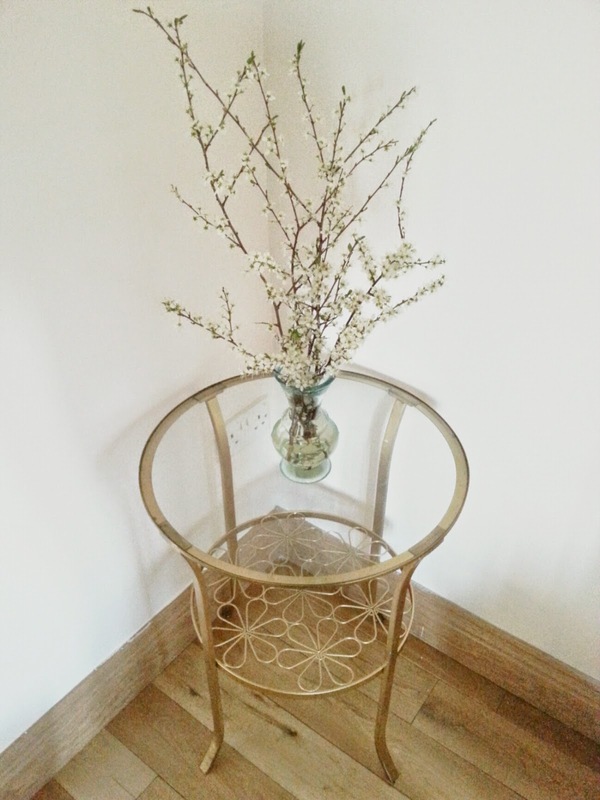 Now in our first home, I am painting everything in site with Annie Sloan Chalk Paint in Original!